Riff Raff‘s long-awaited debut album may still be in label limbo, but that is not stopping hip-hop’s most viral rapper from releasing another banger worthy of radio play. 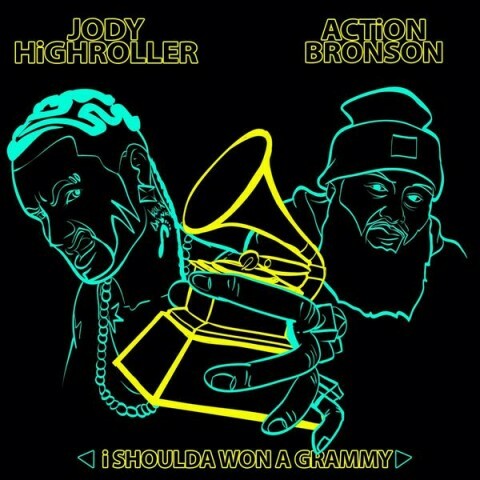 Collaborating with the one and only Action Bronson, Riff Raff goes in about his frustrations over not being nominated for awards at music’s biggest night on “Grammy.” Both emcees bring their lyrical A-game to the affair, with each one delivering a new verse that is sure to leave your speakers smoking. You can stream the song, which is currently available on iTunes, below. There was a time when the majority of the urban music landscape laughed at Riff Raff – AKA Jody Highroller – but as of late he has released hit after hit and shows no signs of slowing anytime soon. We’re not quite sure why the label is keeping his record on the shelf, but we certainly hope he continues releasing new music until that trouble is sorted out. Comment below and let us know your thoughts on “Grammy,” then click here to follow UTG on Twitter so you never miss another entertainment headline. as terrible as riff raff’s music is, he’s probably right about this one.